Dr. Vann is a board certified orthopedic surgeon with extensive experience in treating bone and joint problems of the foot and ankle. 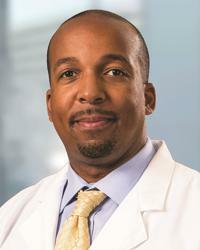 While in school he was recognized numerous times for achievements such as, being selected as the first ever Howard University Orthopedic Program 'Administrative Chief Resident of the Year', 'Orthopedic Surgery Resident of the Year' by the Washington D.C. Veterans Affairs Medical Center, and 'Outstanding Resident of the Year' by Howard University Hospital. After completion of his schooling, Dr. Vann started practicing in Southwest Houston and has built a reputation as a compassionate foot and ankle specialist who actively engages patient in their care.